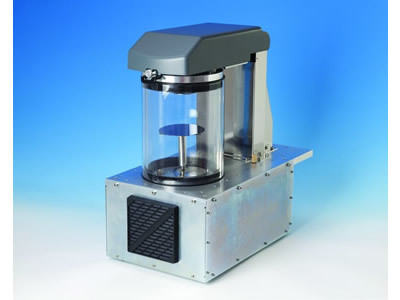 The EMS 150 GB is a modular glove box version of the highly successful EMS 150T ES Plus bench top turbomolecular-pumped coating system – suitable for SEM, TEM and many thin-film applications. 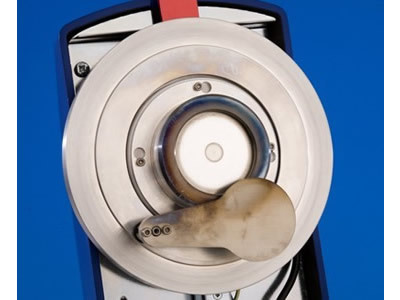 The EMS 150 GB comes as standard with sputtering and carbon rod evaporation inserts and a rotating specimen stage. Options include metal evaporation, glow discharge, film thickness measurement and special stages to suit a range of specimen types. Based on the market-leading EMS 150T Plus coater, the EMS 150 GB is single platform for both sputtering and carbon rod evaporation. 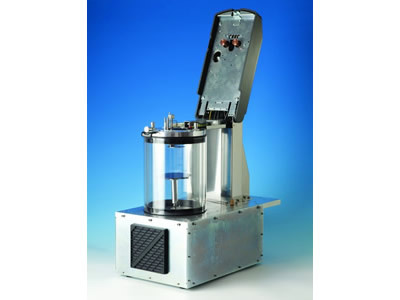 Metal evaporation using filament or boat sources is also possible using an optional insert. 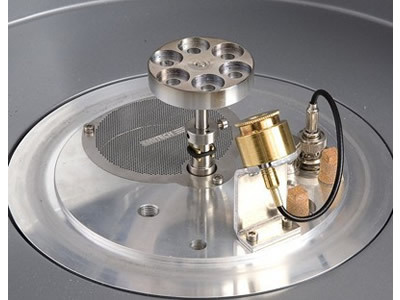 Depending upon user preference, the EMS 150 GB can be a top-of-the-range sputter coater for high resolution scanning electron microscopy (SEM), or a high vacuum carbon coater suitable for SEM and transmission electron microscopy (TEM). The flexibility of the EMS 150 GB can be further expanded using a range of optional accessories. The EMS 150 GB can sputter both oxidizing and non-oxidizing (noble) metals, making it ideal for many thin film applications. The EMS 150 GB has an integral turbomolecular pump and additionally requires a suitable rotary pump or dry pump to "back" the turbomolecular pump. See Ordering Information for more details. 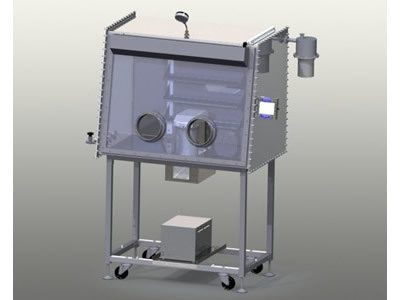 A modular design enables the vacuum chamber to be mounted through the base of the glove box or – when modification to the glove box floor is not possible – inside the glove box itself (optional feedthroughs are required). Note: Each EMS 150 GB can be supplied with a basic accessory/configuration kit to suit either internally or externally mounted vacuum chambers. For this option please order the connection kit. Additional kits can be designed on a case-by-case basis to allow the EMS 150 GB to be adapted to various manufacturers' glove boxes. Please contact us for further details. At the operational heart of EMS 150 GB is the touch screen controller, which allows the most inexperienced or occasional operators to rapidly enter and store their own process data. To further aid ease of use, a number of typical sputtering and evaporation profiles are provided. The EMS 150 GB includes "vacuum shutdown", a convenient feature which enhances vacuum performance by allowing the chamber vacuum to be maintained when the coater is not in use. A unique feature of the EMS 150 GB is the integral pressure interlock switch. This independently monitors the pressure inside the glove box and turns off the vacuum pump if the glove box atmosphere is unacceptably reduced due to a vacuum leak. Quick-change deposition inserts can be swapped in seconds and the intelligent system logic automatically recognizes which insert is in place and displays the appropriate operating settings. The EMS 150 GB features a high-resolution sputter coater insert (3200) for oxidizing and non-oxidizing (noble) metals. 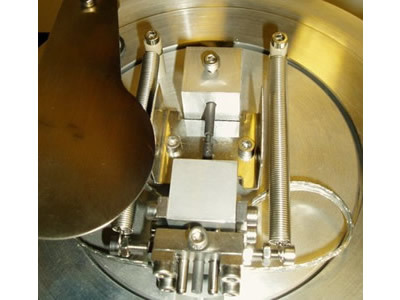 A wide selection of sputtering targets is available, including iridium and chromium (Cr), which are highly recommended for FE-SEM applications. Please see Ordering Information for details of available metal targets. 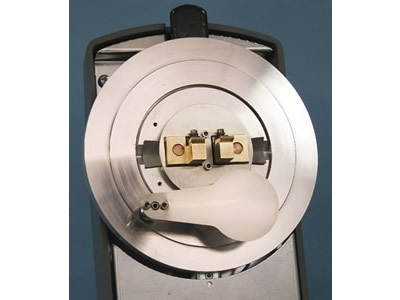 The high vacuum carbon rod coating insert (3230) is ideal for the production of highly stable carbon films and surface replicas for transmission electron microscopy (TEM). The EMS 150 GB uses economical 3.05 mm diameter carbon rods, and the advanced "anti-stick" carbon rod evaporation gun offers simple operation and reproducible results. A carbon fiber evaporation insert (3250) is available as an option (see Options and Accessories). This comes as standard with E and ES models and has two important benefits. Careful control of evaporation allows precise control of carbon thickness (with or without the optional film thickness monitor). In addition, the quality of the resulting carbon films is enhanced by the eradication of "sparking" – a common and unwanted feature of less advanced coating systems. If the optional carbon fiber insert (for E and ES models) is fitted, then controlled profiles ensure carbon is evaporated in short pulses. This significantly reduces the amount of debris (including large carbon fragments) associated with traditional carbon "flash" evaporation. Also, it allows the carbon cord evaporation process to be accurately controlled using the optional film thickness monitor (FTM) accessory. A quick-change insert (3260) allows metal evaporation from tungsten baskets or molybedenum boats – ideal for thin film applications. 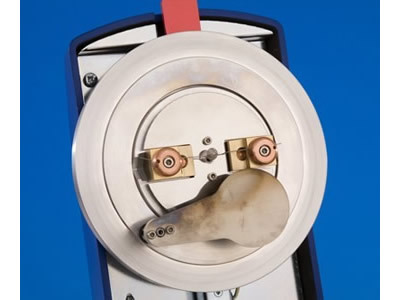 For ease of set up in a glove box, the metal charge can be loaded into the evaporation source away from the vacuum chamber. Each of the above configurations can be used with a range of optional accessories. For further details, see Additional Information. 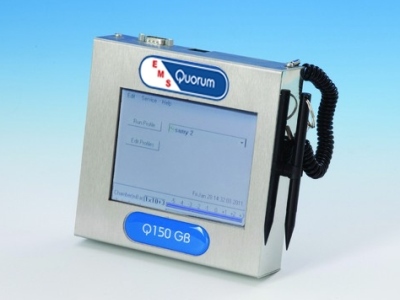 The EMS 150 GB has an extensive range of other options and accessories, including a glow discharge insert, film thickness monitor (FTM) and specimens stages to suit most applications. For details, see Additional Information. 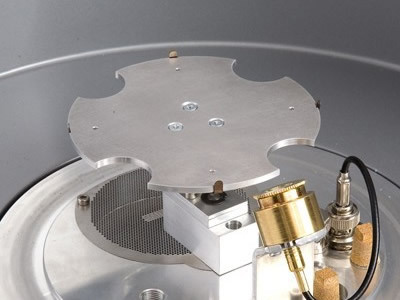 Sputtering head insert (3200): Suitable for oxidizing and non-oxidizing (noble) metals. Supplied with a 54 mm Ø x 0.3 mm thick chromium (Cr) target as standard. For additional targets, see Ordering Information. Carbon rod evaporation head insert for 6.15 mm Ø rods (3240). Glow discharge insert (4513). Used to modify surface properties, e.g. hydrophobic-hydrophilic conversion. (R S and R ES versions only). Can be retrofitted. The EMS 150 GB has specimen stages to meet most requirements. All are easy-change, drop-in style (no screws) and are height adjustable (except for the rotary planetary stage). 6800-S rotation stage, 50 mm Ø (supplied as standard). This stage only rotates – no tilt or height adjustment. 6801 rotate-tilt stage, 50 mm Ø with height adjustment. Target to stage height variable between 37 mm and 60 mm. The tilt angle can be preset. 6803 variable angle rotary planetary specimen stage. 50 mm Ø specimen platform with six stub positions for 15 mm or 6.5 mm or ⅛" pin stubs. 3360 flat rotation stage for 4"/100 mm wafers. Includes gear box which needs to be fitted when the optional FTM is being used, or for coating over the full area of the stage. 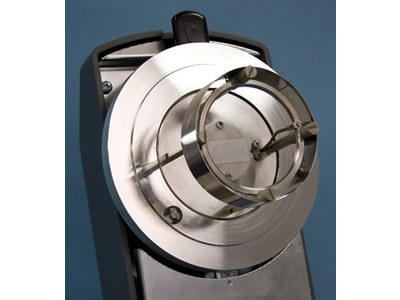 6804 rotation stage for glass microscope slides. Allows two 75 mm x 25 mm slides to be coated. All rotation stages have rotation speeds that can be variable between 8 and 20 rpm. 3270 extended height chamber. 87 mm higher than the standard stage – useful for tall specimens. 3290 Film Thickness Monitor (FTM). Consists of a controller and quartz crystal oscillator built into the EMS 150 GB and a vacuum feed through, chamber mounted crystal holder and quartz crystal. 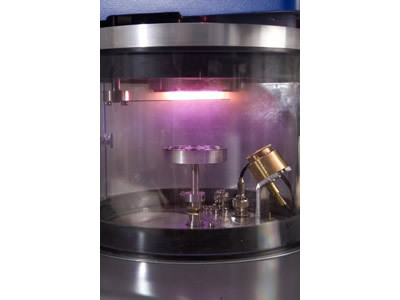 As sputtered or evaporated material is deposited onto the crystal, so its frequency of oscillation is modified. 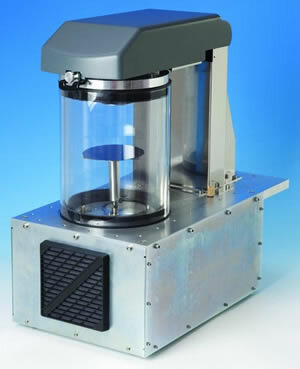 This modification is used to measure and control the thickness of material deposited. 4513 glow discharge insert. Used to modify surface properties (e.g. hydrophobic to hydrophilic conversion). User interface Intuitive full graphical interface with touch screen buttons, includes features such as a log of the last 100 coatings carried out and reminders for when maintenance is due. Specimen shutter An automatic shutter is fitted as standard to shield specimens during pre-sputtering of oxidizing metals and protection during evaporation out-gassing procedures. Vacuum Internally mounted, 70 L/s air-cooled turbomolecular pump. Sputtering 0-150 mA to a predetermined thickness (with optional FTM) or by the built-in timer. The maximium sputtering time is 60 minutes (without breaking vacuum and with rest periods automatically built into the process). Carbon evaporation A robust, ripple free, D.C. power supply, featuring pulse evaporation, ensures reproducible carbon evaporation from rod or fiber sources. Current pulse: 1-70 A. Metal evaporation and aperture cleaning insert (option) For thermal evaporation of metals from filaments or molybdenum boat can be fitted. The metal evaporation head is set up for downwards evaporation, but upward evaporation can be achieved by fitting two terminal extensions (supplied). Evaporation times is up to four minutes. Gases Argon sputtering process gas 99.999% ("zero grade"). Nitrogen venting gas uses the glove box atmosphere as the source. Electrical supply 90-250 V ~ 50/60 Hz 1400 VA including rotary pump. 110/240V voltage selectable.